Play in the Second Annual KCTL Open! 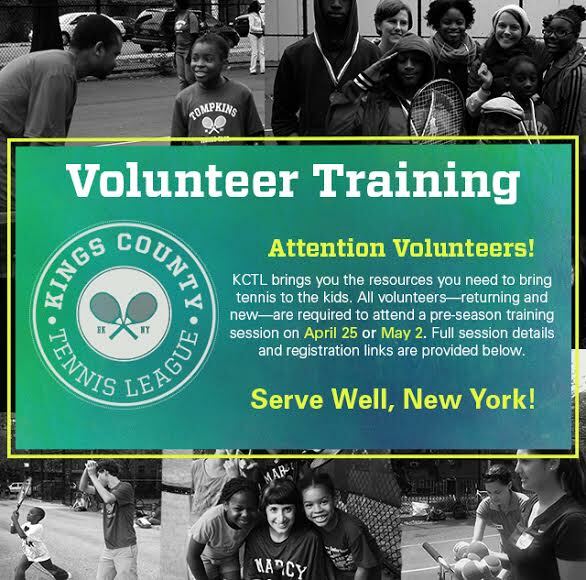 In addition to their support for KCTL's mission to enrich the lives of children, we know that many of our volunteers and staff were motivated to join our program because they're passionate about tennis. So we're bringing back the opportunity for organized singles tennis play in the form of the Second Annual KCTL Open! Awesome news, right?! We happen to know know very well how difficult it is to play tennis in New York City. So we're doing the hard part for you: coordinating matches! It's up to you and your opponent to choose a time and place each week. Registration is available to the public and all funds will directly support KCTL's youth tennis programming. To reserve a spot in one of the tournament's three divisions--Men's Competitive, Women's Competitive or Co-Ed Recreational--sign up and submit payment by June 24 at midnight. Thanks all for your participation. Have fun!